Welcome and farewell. Farewell to RealTime, a 25-year publishing adventure that has come to a celebratory conclusion and welcome to the RealTime Archive, a massive documentation of a period of remarkable transformation driven by the artists who inspired us and to whom we and our many writers creatively responded. This will be a living archive with new overview essays and content guides coming online and enriched by UNSW Library’s wonderful exhibition In Response: Dialogues with RealTime, which features in this edition. 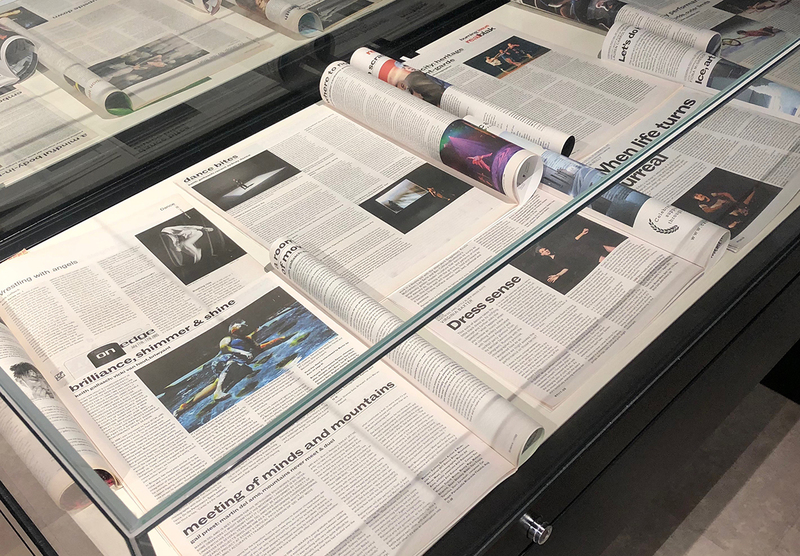 This final edition of RealTime celebrates the launching on 17 April of the archiving of the complete print editions 1994-2015 on the National Library of Australia’s TROVE website. The digitisation was initiated by UNSW academics and the UNSW Library which formed a partnership with the NLA, both institutions recognising the cultural and historical value of RealTime. We are deeply grateful for their support. Improving the overall archive, we’ve upgraded the RealTime website, a treasure house of all editions placed online 1994-present, numerous features, a host of audio and video delights and some new content.